Do you believe in black cat superstitions? 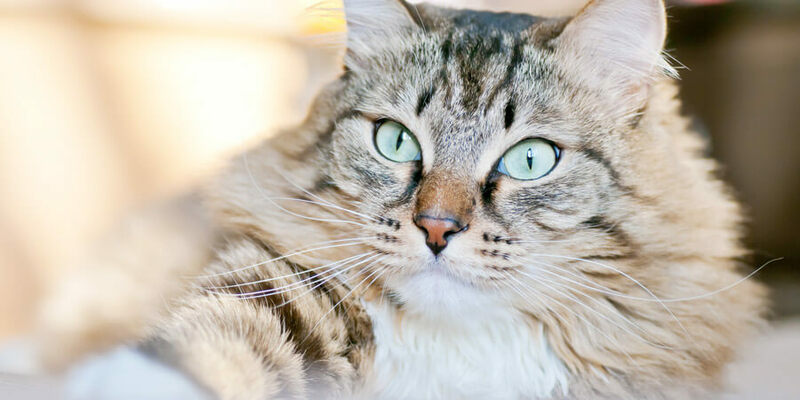 Let’s bust those Halloween black cat myths! 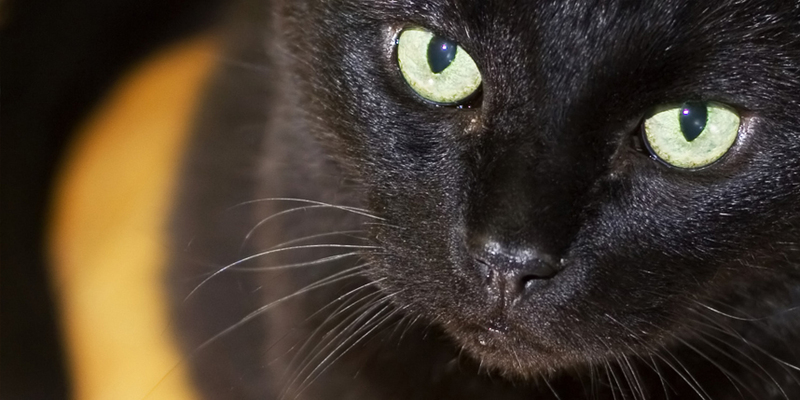 Many of our current superstitions about black cats started back in the Middle Ages. Which ones still exist today? And are any of them true? Let’s take a closer look, because it is clear these little cuties are certainly nothing to be afraid of. In the Middle Ages, Europeans thought black cats were unlucky because they were wrongfully associated with the plague. 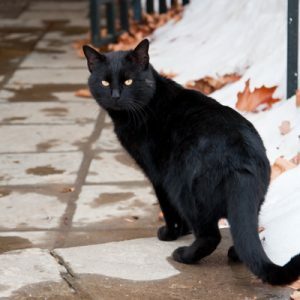 These days, black cat superstitions are plentiful and varied, but most countries actually view black cats as symbols of good luck—at least in certain situations. 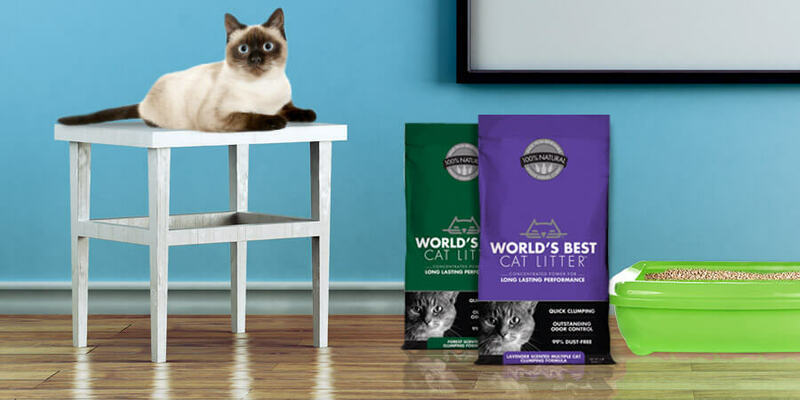 Countries like Russia, Japan and Great Britain all prize the lucky black cat. In Scottish lore, if a black cat appears on your front porch, it will bring you prosperity. In Ireland, Germany and the UK, however, black cats may only be deemed lucky if they cross your path in a certain direction. In the English Midlands, a black cat may actually be considered a good-luck wedding present. Let’s be honest, though: If you come across a black cat coming from any direction, it’s bound to be one of the best parts of your day. After all, any chance encounter with a cat is a bonus! 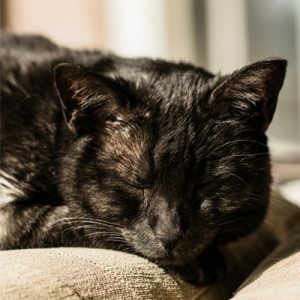 What Does it Mean to Have a Black Cat Dream? Many people believe that black cat dreams are lucky. However, another theory is that when a black cat appears in your dreams, it symbolizes that you are afraid to follow your own intuition, or use your own psychic ability. But anyone who has a black can attest to this: They are a dream to live with! Why are Black Cats Associated with Magic and Halloween? 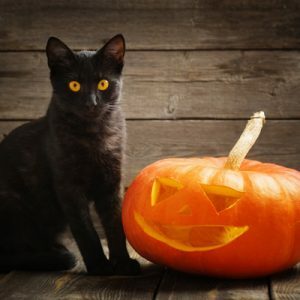 I’m sure you’ve noticed most classic Halloween movie cats are black (such as Thackery Binx from “Hocus Pocus”), but black cats actually have nothing to do with the origins of Halloween. Halloween was originally a Celtic holiday used to honor ancestors, as well as a Catholic holiday meant to mark the day before all saints became hallowed, or sanctified. So why do we associate it with black cats? In the Middle Ages, black cats were mostly nocturnal. Those who believed in magic thought that black cats were either servants of witches who roamed the streets for them at night, or even witches in disguise! Part of the reason they believed this was because it was often unmarried women who shared their attention with the stray cats on the streets, and who were most often accused of being witches. But there is no denying it—black cats make for a great costume and the real thing is a real treat! Now that we’ve debunked these black cat superstitions and myths, you can celebrate all of the lucky black cats just in time for Halloween. Do you have a black cat that you’d like to celebrate? Post a picture to our Facebook page.